[ RECORD NO. OUT OF 5 ] - alien_species.cgi? 5 4.55 Million Years Ago Country Language Theology The Age of Homo Sapiens - The generally accepted age for Humans on the Earth 4.5 Million years (plus or minus about 1%). This value is derived by the acheological lines of evidence. 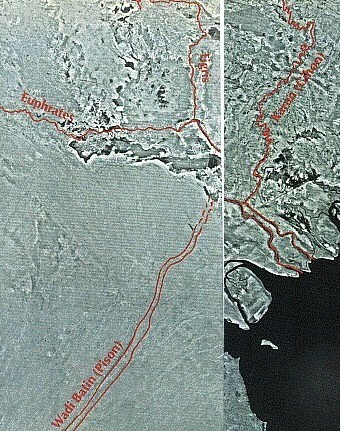 The TETHY's SEA is pushed closed by the moving of TECH-TONIC plate shifting NORTHWARD of the entire AFRICAN CONTINENT. This Locked in OCEAN WHALES dated 3+ Million years ago in the Sahara Desert. Could this also be the cataclysmic event that caused the GREAT FLOOD? 8 2 Million Years BC Country Language Theology NOTE: There seems to be a connection between HYBORNEA HYPERBOREA HY-BRASIL with the HY portion being similar but the land masses constitute ATLANTIS and then later AVALON. Could MERLIN be part of this genetic engineering? A HY-DRO (WATER) Electrical PYRAMID INFRASTRUCTURE? 10 1 Million Years BC Country Language Theology NOTE: There seems to be a connection between HYBORNEA HYPERBOREA HY-BRASIL with the HY portion being similar but the land masses constitute ATLANTIS and then later AVALON. Could MERLIN be part of this genetic engineering? A HY-DRO (WATER) Electrical PYRAMID INFRASTRUCTURE? - Colonies on Earth (Hybornea), Mars and Venus were totally destroyed. Genetic INFUSION of the (12) Twelve MONKEYS? LEMURS? Lemurians? RH- Negative Rhesus Monkey INFUSION for BLUE BLOOD determination, WHY? 13 ??? Years BC Country Language Theology There are ancient cities, under the water off the coast lines of every major port. Atlantis is in the exact location that Plato stated it to be in the Timaeus & Ctriteus. If the GREAT FLOOD was hydro thermic ocean temperature rise then that coincides with the DELUVIAN stories handed down from the ancient Sumerians in the epic tale of Gilgamesh. This video is excellent in explaining the geometry and for the ancient 0 lattitude longtitude location being at the Great Pyramid of Giza. This then tells us through processional rotation time frames of where more lush savannah thrived. I believe this lush savanah was a strip around the Earth signified by the circum navigation of the Mayans to the Phonecians trading gold. Roman boats have been found in South America. 23 300,000 Years Ago Country Language Theology The Anunnaki toiling in the gold mines mutiny. Enki, and Ninhursag create Primitive Workers through genetic manipulation of Ape woman; they take over the manual chores of the Anunnaki. Enlil raids the mines, brings the Primitive Workers to the Edin in Mesopotamia. Given the ability to procreate, Homo Sapiens begins to multiply. If Enlil is ZUES or JUPITER and ENKI is POSEIDON or NEPTUNE then the mythologies tend to make more sense. Something happened in this time period but the story is that ZUES fights CRONUS for his brothers & sisters. These are the olden gods or alien intelligence with technology. 24 ??? Years Ago Country Language Theology In the Bible Genesis Chapter 2 Verse 10 - A river flowed out of Eden to water the garden, and there it divided and became four rivers. The name of the first is Pishon; it is the one which flows around the whole land of Hav'ilah, where there is gold; and the gold of that land is good; bdellium and onyx stone are there. The name of the second river is Gihon; it is the one that flows around the whole land of Cush. And the name of the third river is Tigris, which flows east of Assyria. And the fourth river is the Euphra'tes. The difference between man and animal life vessel can be explained by the awakening of knowledge to good and evil after partaking of the fruit (thought to be FIGS) of the tree of life, see Genesis chapter 3. In the bible and the Sumerian epic tale of gilgamesh they talk of (4) rivers. 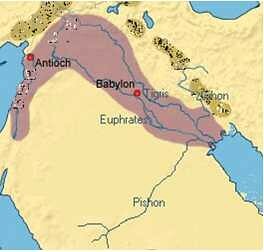 The Tigris, Euphrates, Pishon and the Gihon. They all came together close to Kuwait and flowed as one. 25 200,000 Years BC Country Language Theology Life on Earth regresses during a new glacial period. Climate warms again. The Anunnaki (the biblical Nefilim), to Enlil's growing annoyance marry the daughters of Man. Siriusians (Milky Way) "Sirius is a triunal stellar system, which consists of three Solar Deities: Sothis, Satais and Anu (identified by your astronomers, respectively, as: Sirius A, Sirius B, and Sirius C.) In the universe of matter, So this shines brighter than any star in your night sky, dominating the celestial canopy during the winter of your Northern hemisphere. It is the fifth nearest star to your sun, a mere eight light years from yours, and is inextricably connected to your Solar Deity, RA. At a point in the space-time continuum so distant from your reality as to be undefinable in your terms, a great cosmic exchange occurred in our stellar system. At the time of this cataclysmic change in our complex stellar body, the Deity, Satais, collapsed, passing through her own astral chords and onto higher dimensional planes. What was left behind in the world of matter was, in stellar terms, a minuscule dwarf star of super dense matter, which was eventually pulled into an elliptical orbit around the dominant sister star, So this - as was the distant cousin, Anu. The collapse of Satais (Sirius B) - its ascension beyond material space - caused a monumental chain reaction through the entire Sirian system, out across the constellation of stars known to you as Canis Major and, indirectly, your solar system became involved in the dynamics of our evolution. This is one of the most significant reasons why we are so linked to you and why we are so focused upon your evolutionary process." Genesis 6:2- the sons of God saw that the daughters of men were fair; and they took to wife such of them as they chose. 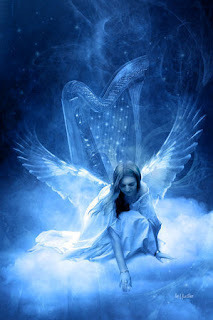 Then the Lord said, “My spirit shall not abide in man for ever, for he is flesh, but his days shall be a hundred and twenty years.” The Nephilim were on the earth in those days, and also afterward, when the sons of God came into the daughters of men, and they bore children to them. These were the mighty men that were of old, the men of renown. This results in the creation of the Nephilim (Genesis) or Anakim/Anak (Giants) as they are described in the book: "And they became pregnant, and they bare great giants, whose height was three thousand ells: Who consumed all the acquisitions of men. And when men could no longer sustain them, the giants turned against them and devoured mankind. And they began to sin against birds, and beasts, and reptiles, and fish, and to devour one another's flesh, and drink the blood." It also discusses the teaching of humans by the fallen angels chiefly Azâzêl: "And Azâzêl taught men to make swords, and knives, and shields, and breastplates, and made known to them the metals of the earth and the art of working them, and bracelets, and ornaments, and the use of antimony, and the beautifying of the eyelids, and all kinds of costly stones, and all colouring tinctures. And there arose much godlessness, and they committed fornication, and they were led astray, and became corrupt in all their ways. Semjâzâ taught enchantments, and root-cuttings, Armârôs the resolving of enchantments, Barâqîjâl, taught astrology, Kôkabêl the constellations, Ezêqêêl the knowledge of the clouds, Araqiêl the signs of the earth, Shamsiêl the signs of the sun, and Sariêl the course of the moon." Deuteronomy Chapter 3, Verse 11 - "For only OG King of Bashan remained, of the remnants of the Rephaim"
Make sure and find the SECRET LINK to giants is the chapter title. 75,000 Years Ago The "accursation of Earth" - a new Ice Age-begins. Regressive types of Man roam the Earth . Cro-Magnon man survives. 49,000 Years Ago Enki and Ninhursag elevate humans of Anunnaki parentage to rule in Shuruppak. Enlil, enraged. plots Mankind's demise. 25,000 Years BC After waiting patiently for many years for just the right moment to attack the Lemurian empire, the Atlanteans decided to attack and destroy Lemuria with the help of their renegade allies. They would accomplish this by taking the Earth's other moon (Earth had 2 moons in those times) out of orbit by using force fields until it was as close as possible to the Lemurian empire, and then the moon was destroyed resulting in a catastrophic shower of meteors. This destroyed much of Lemuria, but this also resulted in many pressures being inflicted upon the tectonic plates : resulting in the gas chambers under Lemuria to implode and thus sink most of the Lemurian continent. 25,000 - 15,000 Years BC The royal governing council of Atlantis decide that a new form of government was desperately needed in which a superior ruling class could be established and sustained by their pretense that they had been empowered by a God-Force. Autocracy was thus born and was in full control enforcing a period of peace and stability. They also started experimenting with peoples' DNA and genetics in order to make them more controllable. This also resulted in peoples consciousness being reduced, life spans contracted, and psychic/spiritual abilities decreasing dramatically. IMPORTANT - see DNA Manipulation above! 15,000 - 10,000 Years BC Throughout the years there are many wars among the various empires due to underground movements of people that wanted to have the Lemurian "philosophy" back in place (i.e. no hierarchy). These wars led to vast destruction. As a last resort the warring empires decided to attack the opponents crystal temples (which were responsible for maintaining two frozen layers of water about 15,000 - 30,000 feet above ground which protected people on Earth from the harmful sun's rays and also ensured a stable weather pattern at all times) Unfortunately, the attacks were made simultaneously and caused the Firmament (the water layers) to be broken down and thus millions of gallons of water thus poured down onto the surface causing what is known biblically as "The Great Flood" (6000 years ago) The breakdown of the Firmament also resulted in the polar icecaps freezing and also the many climatic variations we have today to form. 13,000 Years BC Realizing that the passage of Nibiru in Earth's proximity will trigger an immense tidal wave, Enlil makes the Anunnaki swear to keep the impending calamity a secret from Mankind. Yu empire would not bow down to the hierarchical rule of Atlantis and Libyan/Egyptian empires and was thus forced to literally go underground. Today, they form what is known as the Kingdom of Agartha or Shamballah. Atlantis forms 10 ruling districts, each with its own King. These Kings together formed the governing council of Atlantis. 11,000 Years BC domesticated dogs, Israel obsidian used for tools, Greece. Simple sail boats, Aegean. Only about 2 million people survived the Flood (from an original 65 million). Unfortunately many of the survivors were the mutant humans (the ones that had been genetically altered by the Atlanteans into a much lower state of consciousness). Also, the fact that the firmament was now no longer in existence resulted in the DNA and thus consciousness breaking down even further. A few different renegades (from Pleides, Alpha and Beta Centauri) came to different places on Earth after the Flood, seeing it as an opportune time to establish their own desired ideologies and also be seen as "godlike" and thus reverenced (since there were mainly only mutant humans left). The humans were therefore easily controlled by these renegades. Since no form of disobedience to these new "gods" was allowed, the concept of ruling by "divine right" became inculcated on Earth. This concept of worshipping an elite has continued through to modern times. Culture would rise against culture in wars claiming that the elite they themselves worshipped were superior to the elite of the opposing faction. We are now in times, though, that will finally bring to an end an approximate 10,000 years of "semi-consciousness" and regain our full consciousness that we deserve. This will be due to our entire solar system coming into contact with what is known as the "Photon Belt"
10,500 Years BC The descendants of Noah are allotted three regions. Ninurta, Enlil's foremost son, dams the mountains and drains the rivers to make Mesopotamia habitable; Enki reclaims the Nile valley. The Sinai peninsula is retained by the Anunnaki for a post-diluvial spaceport; a control center is established on Mount Moriah (the future Jerusalem). 9,780 Years BC Ra/Marduk, Enki's firstborn son, divides dominion over Egypt between Osiris and Seth. 9,330 Years BC Seth seizes and dismembers Osiris, assumes sole rule over the Nile Valley. 8,970 Years BC Horus avenges his father Osiris by launching the First Pyramid War. Seth escapes to Asia, seizes the Sinai peninsula and Canaan. 8,670 Years BC Opposed to the resulting control of all the space facilities by Enki's descendants, the Enlilites launch the Second Pyramid War. The victorious Ninurta empties the Great Pyramid of its equipment. Ninhursag, half-sister of Enki and Enlil, convenes peace conference. The division of Earth is reaffirmed. Rule over Egypt transferred from the Ra/Marduk dynasty to that of Thoth. Heliopolis built as a substitute Beacon City. 8,500 Years BC The Anunnaki establish outposts at the gateway to the space facilities; Jericho is one of them. 7,400 Years BC As the era of peace continues, the Anunnaki grant Mankind new advances; the Neolithic period begins. Demigods rule over Egypt. There is a connection between the Ancient Sumerian people, their religious practices and what was handed down to the Egyptians. Genesis 10:6 The sons of Ham: Cush, Egypt, Put, and Cannan. 4700 - 4200 Years Ago Old Kingdom: III-IV Dynasties. Age of the Pyramids. More than 20 pyramids built! 4050 - 3800 Years Ago Middle Kingdom: XII Dynasty. Egypt Re-Organized. Power & trade of the Empire extended. 3800 - 3570 Years Ago Second Intermediate Period: XIII-XVII Dynasties. Decentralized rule returned. Hyksos, an advanced warrior tribe from Asia, ruled Egypt for about 160 years. c. 3370 Years Ago Armana Revolution: King Amenhotep IV, who worshiped one god, came to power. Worshiped Aton, the sun and changed his name to Akhenaton. Akhenaton banned the worship of multiple gods and moved the Capitol from Thebes to a new city, Akhenaton. Queen Nefertiti, Akhenaton's wife, influenced the reform greatly and became the best known Queen of Ancient Egypt. The period ended when Tutankhamen took the throne, returning Egypt to multi-theism. Urban civilization begins in Sumer as the Anunnaki reestablish there the Olden Cities, beginning with Eridu and Nippur. Anu comes to Earth for a pageantful visit. A new city, Uruk (Erech), is built in his honor; he makes its temple the abode of his beloved granddaughter Inanna/lshtar. 3,760 Years BC Kingship on Earth Mankind granted kingship. Kish is first capital under the aegis of Ninurta. The calendar begun at Nippur. Civilization blossoms out in Sumer (the First Region). 3,450 Years BC Primacy in Sumer transferred to Nannar/Sin. Marduk proclaims Babylon "Gateway of the Gods." The "Tower of Babel" incident. The Anunnaki confuse Mankind's languages. His coup frustrated, Marduk/Ra returns to Egypt, deposes Thoth, seizes his younger brother Dumuzi who had betrothed Inanna. Dumuzi accidentally killed; Marduk imprisoned alive in the Great Pyramid. Freed through an emergency shaft, he goes into exile. 2,900 Years BC Kingship in Sumer transferred to Erech. Inanna given dominion over the Third Region; the Indus Valley Civilization begins. 2,650 Years BC Sumer's royal capital shifts about. Kingship deteriorates. Enlil loses patience with the unruly human multitudes. 2,371 Years BC Inanna falls in love with Sharru-Kin (Sargon). He establishes new capital city. Agade (Akkad). Akkadian empire launched. 2,316 Years BC Aiming to rule the four regions, Sargon removes sacred soil from Babylon. The Marduk-Inanna conflict flares up again. It ends when Nergal, Marduk's brother, journeys from south Africa to Babylon and persuades Marduk to leave Mesopotamia. 2,291 Years BC Naram-Sin ascends the throne of Akkad. Directed by the warlike Inanna, he penetrates the Sinai peninsula, invades Egypt. 2,255 Years BC Inanna usurps the power in Mesopotamia; Naram-Sin defies Nippur. The Great Anunnaki obliterate Agade. Inanna escapes. Sumer and Akkad occupied by foreign troops loyal to Enlil and Ninurta. 2,220 Years BC Sumerian civilization rises to new heights under enlightened rulers of Lagash. Thoth helps its king Gudea build a ziggurat-temple for Ninurta. 2,193 Years BC Terah, Abraham's father, born in Nippur into a priestly-royal family. 2,180 Years BC Egypt divided; followers of Ra/Marduk retain the south; Pharaohs opposed to him gain the throne of lower Egypt. 2,130 Years BC As Enlil and Ninurta are increasingly away, central authority also deteriorates in Mesopotamia. Inanna's attempts to regain the kingship for Erech does not last. 2,123 Years BC Abraham born in Nippur. 2,113 Years BC Enlil entrusts the Lands of Shem to Nannar; Ur declared capital of new empire. Ur- Nammmu ascends throne, is named Protector of Nippur. A Nippurian priest-Terah, Abraham's father - comes to Ur to liaison with its royal court. 2,096 Years BC Ur-Nammu dies in battle. The people consider his untimely death a betrayal by Anu and Enlil. Terah departs with his family for Harran. 2,095 Years BC Shulgi ascends the throne of Ur, strengthens imperial ties. As empire thrives, Shulgi falls under charms of Inanna, becomes her lover. Grants Larsa to Elamites in exchange for serving as his Foreign Legion. 2,080 Years BC Theban princes loyal to Ra/Marduk press northward under Mentuhotep I. Nabu, Marduk's son, gains adherents for his father in Western Asia. 2,055 Years BC On Nannar's orders, Shulgi sends Elamite troops to suppress unrest in Canaanite cities. Elamites reach the gateway to the Sinai peninsula and its Spaceport. 2,048 Years BC Shulgi dies. Marduk moves to the Land of the Hittites. Abraham ordered to southern Canaan with an elite corps of cavalrymen. 2,047 Years BC Amar-Sin (the biblical Amraphel) becomes king of Ur. Abraham goes to Egypt, stays five years, then returns with more troops. 2,041 Years BC Guided by Inanna, Amar-Sin forms a coalition of Kings of the East, launches military expedition to Canaan and the Sinai. Its leader is the Elamite Khedor-la'omer. Abraham blocks the advance at the gateway to the Spaceport. 2,038 Years BC Shu-Sin replaces Amar-Sin on throne of Ur as the empire disintegrates. 2,029 Years BC Ibbi-Sin replaces Shu-Sin. The western provinces increasingly to Marduk. 2,024 Years BC Leading his followers, Marduk marches on Sumer, enthrones himself in Babylon. Fighting spreads to central Mesopotamia. Nippur's Holy of Holies is defiled. Enlil demands punishment for Marduk and Nabu; Enki opposes, but his son Nergal sides with Enlil. As Nabu marshals his Canaanite followers to capture the Spaceport, the Great Anunnaki approve of the use of nuclear weapons. Nergal and Ninurta destroy the Spaceport and the errant Canaanite cities. 2,023 Years BC The winds carry the radioactive cloud to Sumer. People die a terrible death, animals perish, the water is poisoned, the soil becomes barren. Sumer and its great civilization lie prostrate. Its legacy passes to Abraham's seed as he begets -at age 100- a legitimate heir: Isaac. ???? BCE SETH Was Seth the Egyptian the same as Seth the son of Adam or are the names false cognates? Alexander Seinfeld, degrees in Classical Studies, ancient Jewish history and Rabbinic texts Interesting hypothesis. The earliest representations of what may be the Set animal comes from a tomb dating to theNaqada I phase of the Predynastic Period(3790 BCï¿½3500 BC), though this identification is uncertain. 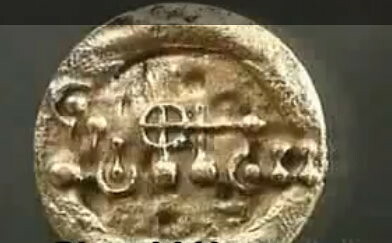 If these are ruled out, then the earliest Set-animal appears on a mace head of the King Scorpion, a protodynastic ruler. The head and the forked tail of the Set animal are clearly present. According to Jewish tradition, Adam's son Seth was born in 3631 BCE. Therefore, at first glance, the dates support your hypothesis. According to what is noted in my research and in Wikipedia, Seth (Hebrew: ???? ?, Standard ï¿½et, Tiberian ï¿½?? ; Arabic: ???? Shith or Shiyth or Sheeth; placed; appointed"), in Judaism, Christianity and Islam, was the third son of Adam and Eve and brother of Cain and Abel, who were the only other of their children mentioned by name. According to Genesis 4:25, Seth was born after Abel's murder, and Eve believed God had appointed him as a replacement for Abel. http://en.wikipedia.org/wiki/Seth The Biblical Seth is an Egyptian god. Shid(t)h or Seth is a Hebrew name which is translated 'substitute' because of the fiasco involving the death of Abel by Cain, or Khyan. There is a faint whiff of Egyptian about this name and of Biblical Seth because in Egyptian the name Seth is writtenst (Set, Sut, or Sety). 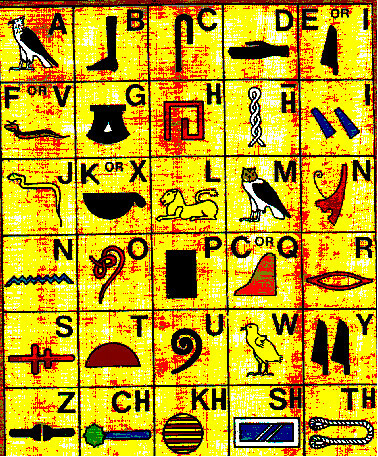 Now, the name of the goddess Isis is written asAst (meaning 'throne'), which contains the name of Set or Seth. 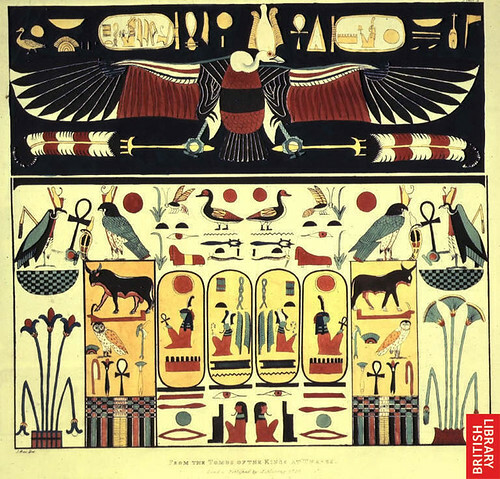 Was the Egyptian Set a 'substitute' for the goddess Isis? We know from historical records that the earliest religion in Egypt was the mother goddess and her son the heir to the throne. 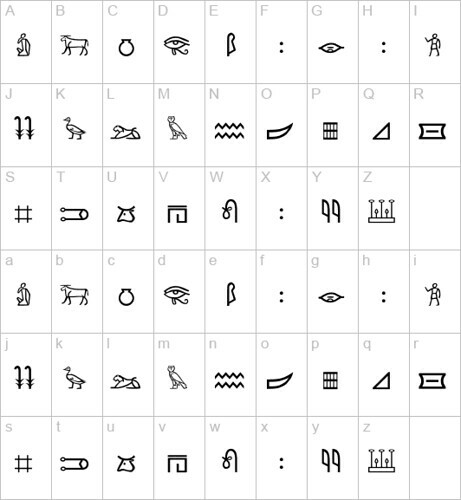 In the Bible Seth is the son of Adam, and in ancient Egyptian religion at Heliopolis (the original Jerusalem!) the all-father of Set was Atum or Atum-Re in the solar aspect. Set was originally a stellar god associated with the never setting stars of the North along with his mother, thus the throne of Egypt was brought down from the heavens. Going back to the meaning of the name Seth. I am told that there is a root name in the wordChet. 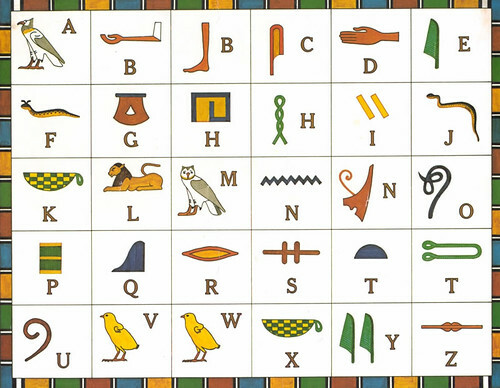 This must be the Egyptian Khet, another name for Set. In Greek Khet is cognate withKad, that is, Kadmus ("the east" and "to shine"). In Egypt Set was known as 'the Dazzler' or "shining one". In the Bible Seth has a son, Enosh. This confirms Seth as an Egyptian god. Enosh is the Egyptian wolf-hound or Anush. The Bible says that at this time people began to call upon the name of the Lord. Anush was considered the first prophet in Egypt, with the meaning of "to call out" or "announce". Anush is also Anubis, the jackal-god, who was the "Anouncer of the Ways". Isaiah's prophecy of making a way in the wilderness for the one crying out has to be the Anubis animal, whom in the Egyptian myth used honey as a libation of annointing. Anubis was said to feed on the locusts in Deshret (wilderness or desert) which completes the motif. There is yet more tantalising evidence that the Hebrew Seth really was the Egyptian god Seth. The Gnostic Sethians regarded Seth as the first of the perfected race, which in Egypt could have been either Atum or Atum-Re or even Seth himself, the race of those who principally worshipped Seth alone. 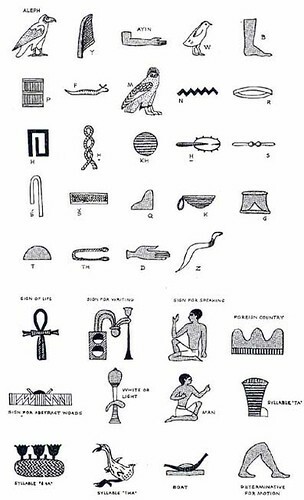 But the Gnostic Seth was associated with the serpent, which in Egypt was a form of Apophis, and then later Seth, or Sutekh according to King Apophis of Egypt. 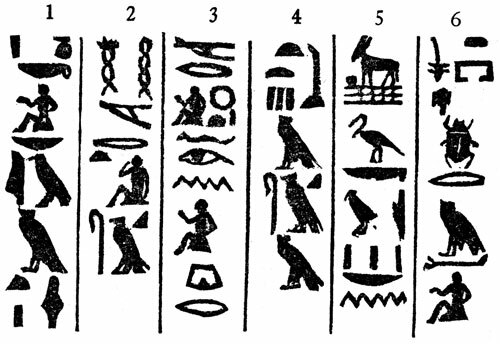 Everything to do with the desert in Egypt became associated with Set or Seth. The image of Seth as the desert dwelling god stuck in Christian times when Jesus is tempted by Satan in the wilderness. The motif of Jesus being tempted to turn rocks into bread is an obvious allusion to Seth's evil power over that of Horus, whose power is of the leavened bread. I hope this helps explain the connection of the Biblical Adam and the Egyptian god Seth. were aware of the ancient island of Crete and trade was in existence. disembark goods from trade between the Cretons, Greeks and Egyptians. mythological gods who I believe were aliens from a distant planet. Cryptozoology - Alien or Sea Creature?